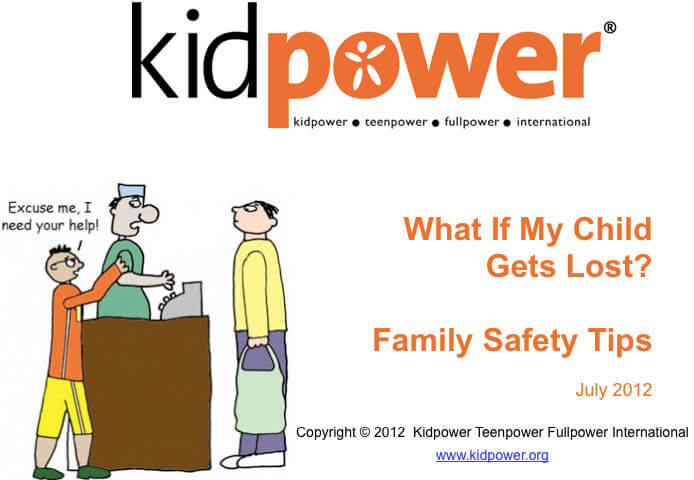 The Kidpower approach focuses on what each person can do rather than on what they cannot and emphasizes making safety plans in order to prevent problems. These safety plans must be based on a realistic assessment of the needs and abilities of each member of a family or group. Children who have difficulty communicating or moving are more vulnerable to being harmed if things go wrong. Children who act in ways that are disruptive or who wander off suddenly are more likely to cause things to go wrong. Children who act unusually or look different are more likely to be bothered, bullied, or even attacked because of prejudice or because they seem like easy targets. Below are some ideas for the parents and other caregivers of children with special needs. These ideas can increase personal safety for the whole family or group as well as for the child. 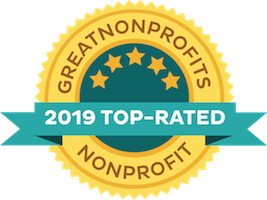 We believe that this is important for people regardless of their ability. Children with special needs vary greatly in their capabilities and some of what they can do changes over time. Some young people can understand a great deal of abstract information, especially with the use of illustrations and stories, but need very structured practice in exactly how to keep themselves safe in specific situations. Rehearsal of skills through role-plays will help most children to remember far better than just being shown or told what to do. Making a Safety Plan for how to get help when you have problems is a useful personal safety practice for all your family members. Make a list of everywhere your child might go. Make a list of possible problems. Now, make a plan for how this child might get help – or have someone else get help – in this specific place with this specific problem. The most important safety plan for children is to Check First with their adults if they can anytime things change. Since “things changing” is an abstract concept, you have to teach children this skill using specific examples. Check First if they see a dog, a squirrel, or a person they don’t know well. Check First if they see matches, broken glass, a spider, or smoke. Check First before they open the door, go outside, lean out the window, or go somewhere, even with people they know. 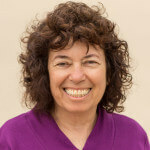 For young people who are independent enough to be left home or out in public without adults to Check First with, their job is to Think First, to follow the safety plan they have made with their adults or caregivers, and to check before they change their plan about Who they are with, What they are doing, and Where they are going. The Safety Plan we suggest for lost children who are not ready to go out on their own is to “Stop and Wait and Look” for a few minutes and then Yell so that their adults can find them. If this does not work, then a child who is able to understand can be taught to go to Safety – the place where you have told him or her to go to get help. In a store, this may be the cashier. In an amusement park, this might be the person running the ride or the ticket-seller or the person working at the refreshment stand. You might ask the managers of stores, theaters, or amusement parks what their suggestions are if a young person gets lost. You might ask if your children can practice asking for help from their staff so that they get hands-on practice in following the Safety Plan. Most people with limited language can learn to say, “Help!” and hand a cashier a card. Children who cannot speak at all might still be able to hand someone a card with a picture and a few words that explains the problem. For adults, being an advocate means knowing how to keep their children safe and how to protect them from harm as much as possible. For another child in the family, being an advocate for a child with special needs means speaking up and getting adult help if there is a problem. For the child with special needs, advocacy means having ways to the best of her or his ability to communicate when something is hurtful or upsetting. A fundamental Kidpower rule is that “problems should not have to be secrets.” It doesn’t solve problems to wish that they weren’t happening, to be silent and hope that they will go away, to pretend that there is no problem, or to worry. Problems are more likely to be solved when everyone involved speaks up when they notice problems and is persistent in asking until they get help. For example, another child in the family can be encouraged to ask for help and, if appropriate, to take some action if he or she sees something unsafe starting to happen with the child with special needs. Prepare everyone around this child to provide constant supervision. Part of your safety plan is to prevent a child who does not know better from wandering off, just as you would with a toddler. If you do get separated, the safety of the child is more important than not standing out. A realistic plan might require that your child has to stand out in some way in order to be able to get help. Have a card or other means of explaining what the problem is, including contact information with the child at all times – around the neck, attached to a shirt, a bracelet, etc. If a child rejects one means of having a card, try another or find a way to overcome the initial rejection, just as you have helped your child to change other behaviors. One way you can help security guards and others find your child if he or she is lost is to carry several up-to-date photos of your child with you. In large crowded areas like an amusement park, you might have your child wear something distinctive and easy to spot, like a bright shirt, for example. Know how to handle the respectful concern of another adult by being clear about what you want and don’t want without getting triggered. Be prepared to set boundaries firmly and respectfully if someone is disrespectful in public, as long as you are in a safe place. Rehearse answers like, “Excuse me. Please stop making comments like that. We are proud of our family just like you are proud of yours.” Be prepared to leave calmly and get help if you are not in a safe place or if someone’s behavior seems unsafe. Report any unsafe behavior to the management of places where you go and ask them how they can make sure that everyone who visits their place is treated with respect. It is important to be realistic about what might happen instead of wishing that it wouldn’t. With some preparation, most problems can be dealt with calmly and effectively instead of becoming an emergency. Children sometimes cross boundaries of others whether they have special needs or not and their adults need to take charge of their behavior. If you have a child who is likely to run up and hug strangers in the park or store, be prepared to stop that child and to practice waving instead of touching. If you have a child who is likely to throw a tantrum in a restaurant, pick your restaurant with this in mind and have a plan for leaving quickly if need be. If you have a child who is likely to rock loudly on the seats in a movie theater, check to be sure that the seat doesn’t rock, sit at the edge of the row instead of in the middle of it so that you can leave easily if necessary, or provide some less disruptive way for your child to move. Give them some time just with you so that they can learn for themselves separate from their more vulnerable sibling. Let all children in your family know that, although you are worried about the child who you see as being the most vulnerable, their safety is equally as important to you. Tell all your children you love them and want them to let you know about their problems, even if you seem to be very busy. Especially as they get older, sometimes children whose siblings have special needs think that their problems are not that important. They might see their parents as being overburdened and try to protect their parents by not being a worry to them. Children of all abilities need to know that their adults truly want to hear about their problems – and that their needs might be different, but they are not less important. If you are worried about the well-being of your child, this can become all-consuming. It is normal for parents to blame themselves for anything that goes wrong – or to feel that they must not stop until everything is going well. However, feeling guilty and getting exhausted is a terrible example to show your children and diminishes your ability to be effective for the long run. You are more likely to make wise choices and do a better job of caring for your child if you give yourself a break. This is why taking time for yourself and getting personal support is an important part of the safety plan for the well-being of your whole family. To learn more about how to take action and teach these skills, please visit our Kidpower Services for People with Special Needs page. 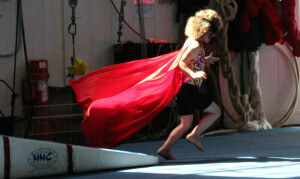 For services to schools, please visit our Kidpower Resources and Services for Schools page. 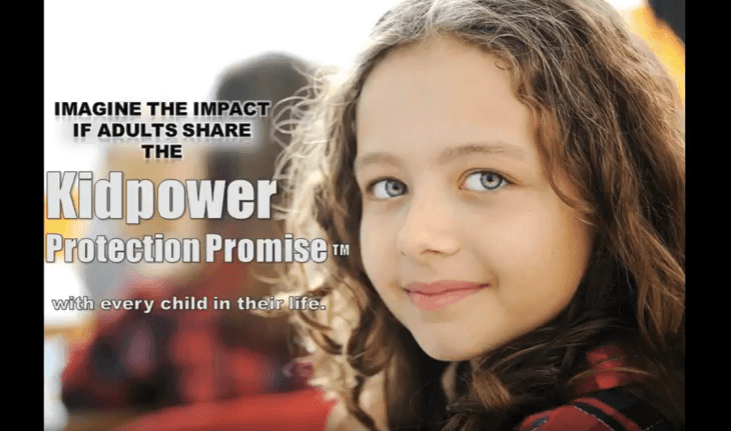 Kidpower offers workshops, training and consultation for families, schools, and organizations in locations around the world. 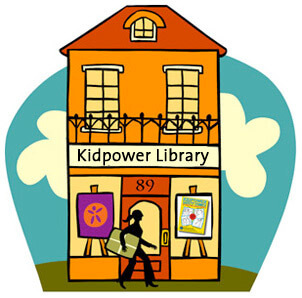 Join Kidpower’s Online Library (Free Community Membership) for access to hundreds of resources! 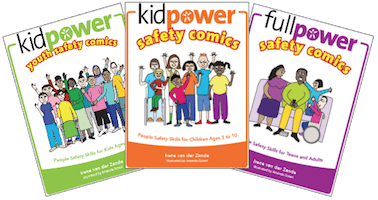 Check out the Kidpower Safety Comics with age-appropriate editions for younger kids, youth, and teens/young adults! Copyright © 2012 – Present. All rights reserved.